This large 45″ by 40″ shield shaped sign is one of my favorites. This sign is blue, red, and white. There are strips at the bottom the look like an American flag. 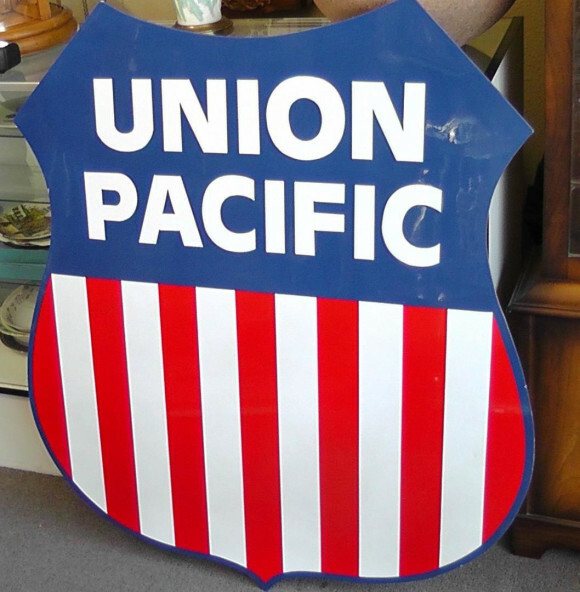 The text reads “Union Pacific” at the top half of the sign.